Congratulations to St. Mary's juniors Jasmine Brundage and Kelly Cleversley and senior Hannah Mulhern on being named First Team All-Catholic! Another round of congratulations goes out to St. Mary's junior Marie Rhodes and freshman Courtney Kurkowiak on being named to the Second Team! 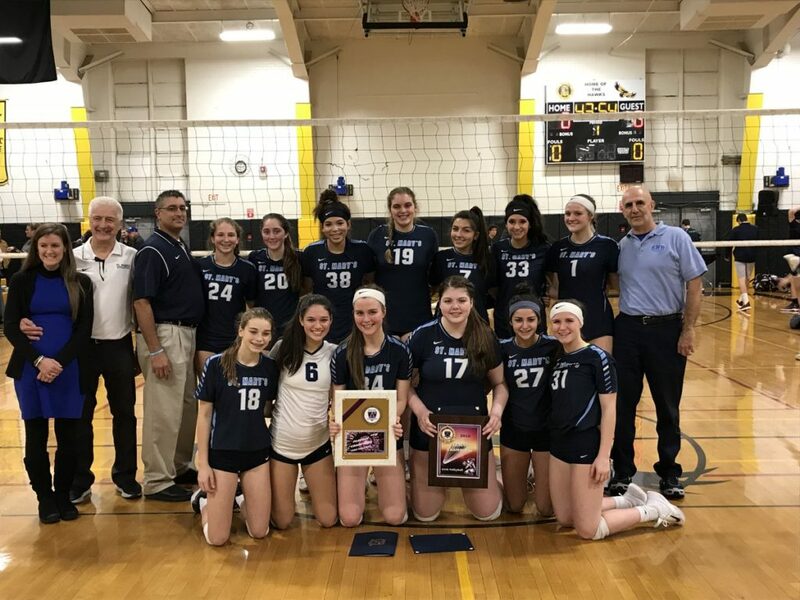 The St. Mary's Women's Volleyball Team lost a heart-breaker to Sacred Heart of Long Island in the NYS Volleyball Championships. The 5-set match was back-and-forth for its entirety, and the Lancers showed so much toughness and heart to fight in front of their home crowd. St. Mary's defeated Sacred Heart in this year's Monsignor Martin final to capture their 8th league championship in a row!